Good news out there for everyone looking to get some fresh Sockeye Salmon in their freezer, Alaska Fish and Game has increased the bag and possession limits for anglers. A full description of the order is below, please take a moment to read, but in layman’s terms they increased the bag limit from 3 per person to 6 per person. We have seen more sockeye coming past the weir bringing the count to almost 26,000 salmon and the water levels have been dropping as well and are now at 17″. With the water levels starting to drop, the sockeye numbers still climbing, the weather cooling off a bit and the limit increasing it’s been a great time to get out on the river and chase some Sockeye. We’ve had good success out there the last few days and of course we can’t predict it, but we anticipate the fishing is going to continue looking good for us out there!! 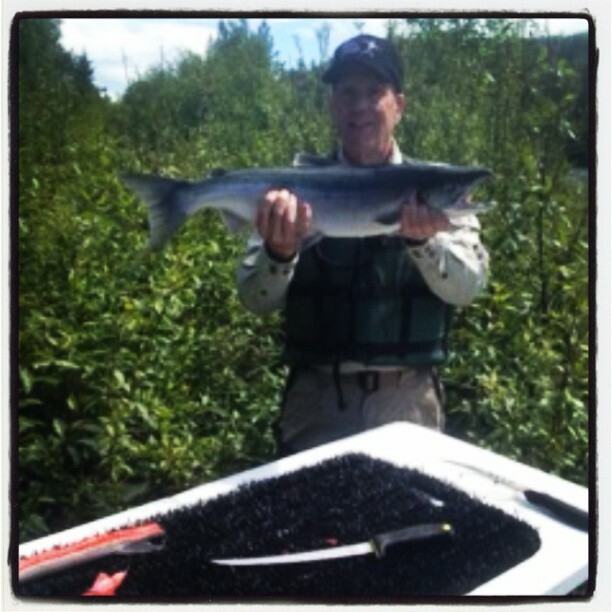 Nice Russian River Sockeye , caught and filleted on the Kenai River. Great work Gary. 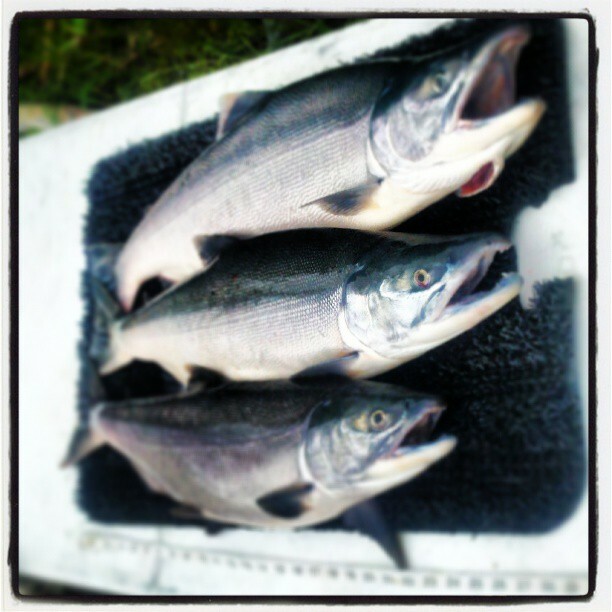 Beginning at 12:01 a.m., Saturday, June 22, the daily bag limit will increase to six (6) sockeye salmon and the possession limit will increase to twelve (12) sockeye salmon in the Upper Kenai River, upstream from Skilak Lake to ADF&G regulatory markers located approximately 300 yards upstream of the public boat launch at Sportsman’s Landing and the Russian River from its mouth upstream to an ADF&G marker located approximately 600 yards downstream from the Russian River Falls. The early-run sockeye salmon escapement past the weir at Lower Russian Lake has exceeded 23,700 fish. The Department projects the end-of-run escapement will exceed the escapement goal of 22,000 – 42,000 early-run sockeye salmon. It is therefore appropriate to increase limits to permit anglers the additional opportunity to harvest Russian River sockeye salmon. Anglers are reminded that they may possess only the limit allowed for the waters they are actively fishing. If a Russian River angler has more than three sockeye salmon in possession, then that angler may not fish in waters with a possession limit of three. 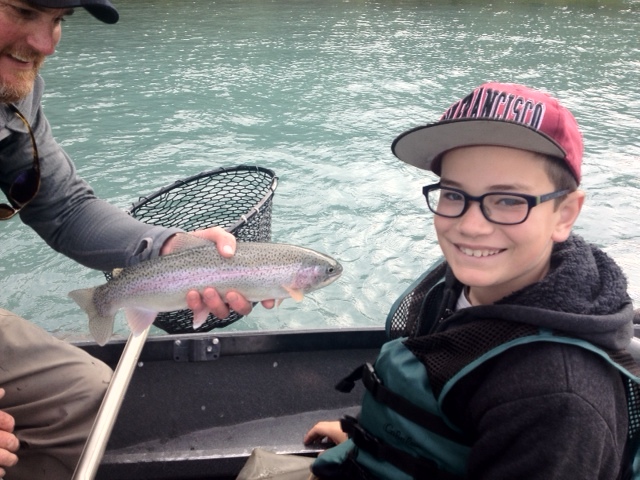 Anglers are also reminded to remove fish carcasses whole, or gutted/gilled from the Russian River clear water, or take fish to the mainstem Kenai River cleaning tables located at the confluence and ferry crossing to fillet and chop-up filleted sockeye salmon carcasses into small pieces and throw the pieces into deep, flowing waters. Please keep all personal belongings, including stringers of fish closely attended. Please respect the riverbank restoration projects and stay on the established pathways in the Sanctuary Area, campground areas, and Russian River Ferry area. 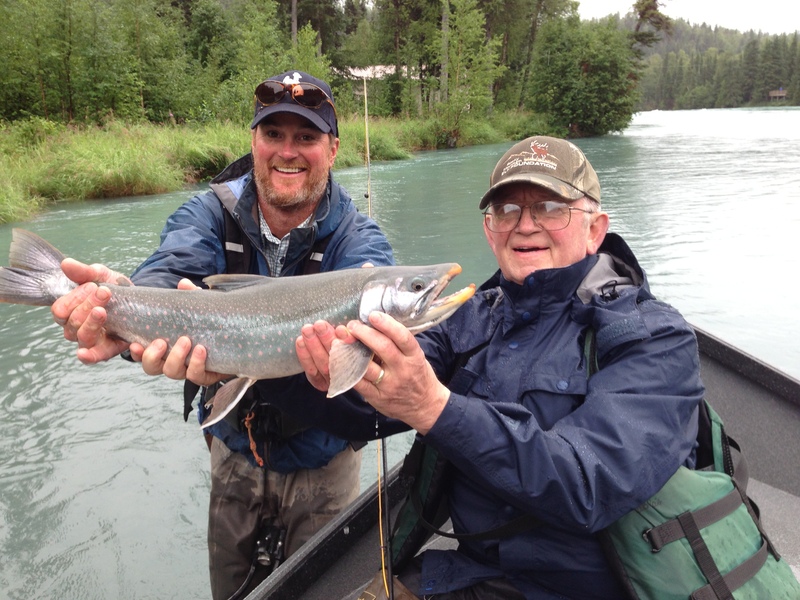 This entry was posted in River Report and tagged Alaska, Alaska Department of Fish and Game, Fish, kenai river, Russian River, Salmon, Sockeye Salmon, upper kenai on June 22, 2013 by jenharpe. 15,015 Sockeye Salmon on their way up! 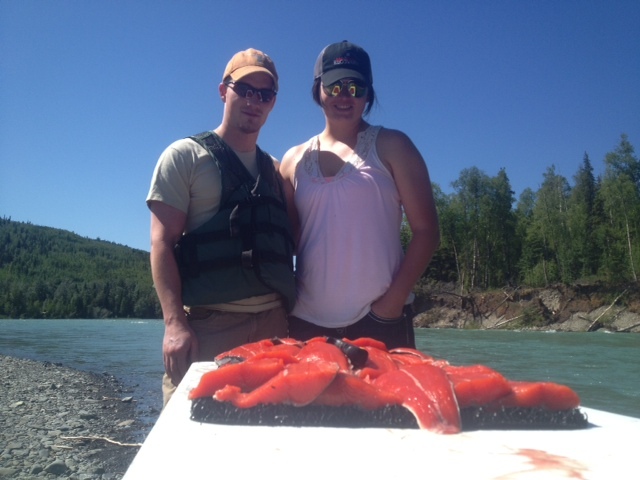 As of yesterday we have now seen 15,015 Sockeye Salmon come into the Kenai River Drainage. Our water levels continue to rise due the snow/glacier melt off bringing the water up to 20″. We see the fish bump out a little farther off the banks with these water levels but we are still doing grat catching them with a little patiences and skill! Yesterday we saw temperatures of 88 degrees in the shade and it’s gearing up to look the same today. 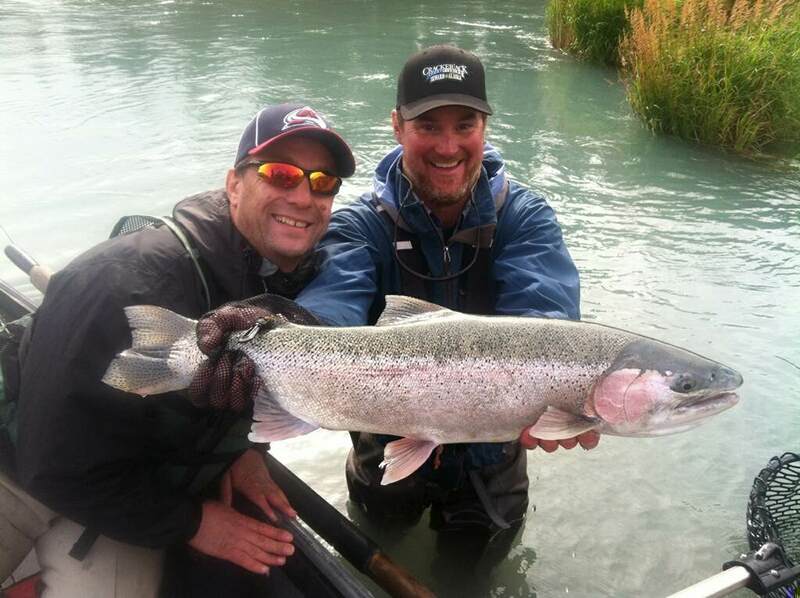 You have to love being out on the river in Alaska with this weather! 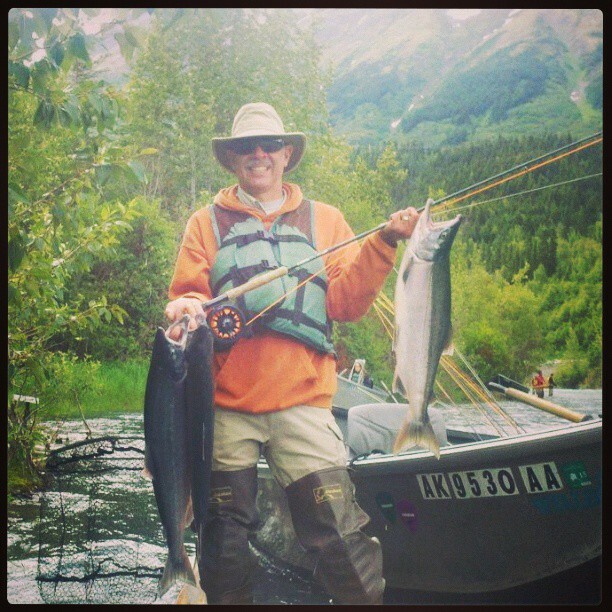 This entry was posted in River Report and tagged Fish, Fly fishing, kenai river, Outdoors, Salmon, Sockeye Salmon, upper kenai on June 18, 2013 by jenharpe.